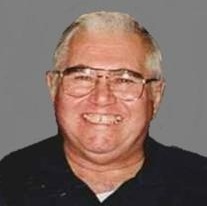 Obituary for Leon Joseph DeWitt Leon J. DeWitt, age 73, of Zumbrota, died on March 2, 2012, at his log home that he built, with his family by his side. He was born on October 4, 1938 in Guntersville, AL to Leo and Sadie (Munsch) DeWitt. He started school in Hanford, Washington, attended country school near Pine Island, Pine Island High School, and then later graduated from Rochester Central High School. Leon joined the National Guard in Zumbrota in October 1956, and later enlisted in the United States Army and was stationed in Germany. He returned home and worked as a heavy equipment operator at Leon Joyce Construction Company located in Rochester. On October 26, 1963 Leon married Ann Forsberg at the Church of St Pius in Rochester. They moved to California for a few years where Leon worked at construction companies, he also worked in Nevada in the gold mines. They later returned to the Zumbrota area where he worked at various construction companies throughout the Midwest and had his own landscaping business in the Zumbrota area. Leon enjoyed socializing at the coffee shops with the local people, traveling near and far, cutting wood, working with his hands especially building homes. Leon also enjoyed entertaining at family gatherings. Leon was a member of International Union of Operating Engineers Local 49. He attended church at SS. Peter and Paul in Mazeppa. Leon is survived by his wife, Ann DeWitt of Zumbrota; son, Bryan (Jodi Rasmussen) DeWitt of Mazeppa; daughter, Julie (Craig) Banitt of Zumbrota; grandson, Ray DeWitt of Zumbrota; siblings, Sylvia (Glenn) Eichhorn of Rochester, Theresa (Janet Rantalla) DeWitt of Maple Wood, Richard (Karen) DeWitt of Rochester, Bill (Jeri) DeWitt of Highland, CA; and extended family Richard Weber of Mazeppa. Leon is preceded in death by his father, Leo DeWitt; mother, Sadie DeWitt; and sister, Annette Weber.